Hi everyone, sorry my first post here is a classified. I have been lurking on the forum for awhile though. 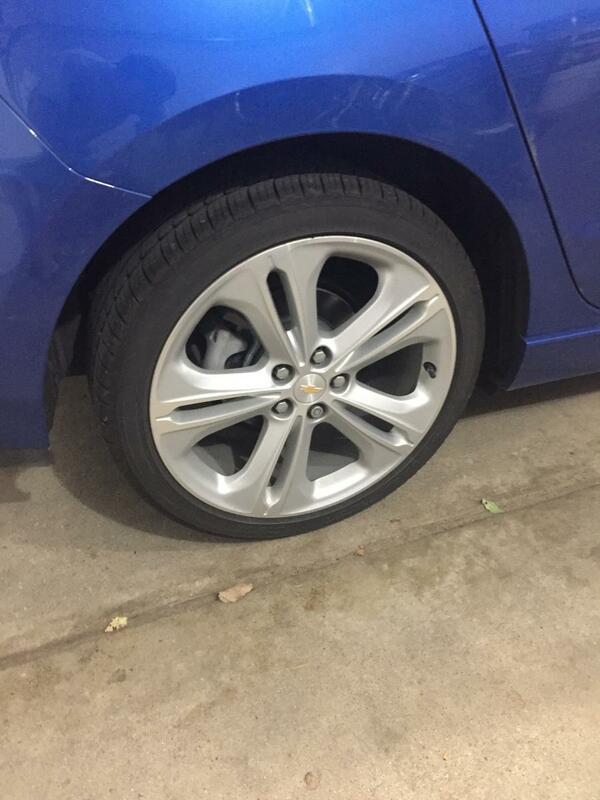 I am selling a set of 2018 Cruze 18" Wheels, the Michellin MXM4 Tires, and the TPMS sensors. The tires have just under 10K miles on them and are in great shape. I have a Diesel Hatch RS and found some 16" cruze wheels and tires so I am selling these. They are all in perfect shape I am just too old for the harsher ride of the low profile tires. $750. In Metro Detroit Area. With the MPG of the diesel I can afford to meet partway if needed. Don't forget to introduce yourself and your Cruze here. Are the set of 2018 Cruze 18" Wheels, the Michellin MXM4 Tires, and the TPMS sensors still available for sale? Is this item still available for sale? firehawk618 and HatchLifeRS like this.